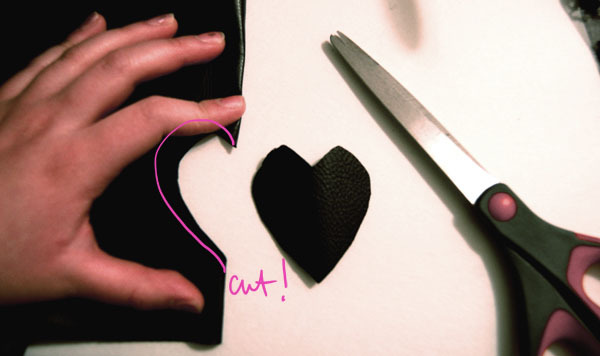 Since Valentine’s Day is tomorrow, I obviously had to make this week’s DIY tutorial V-Day-themed! However, in my world of forever alone, Valentine’s Day is more like Single’s Awareness Day. To remedy that, I always dress to the nines (you know, to show the boys what they’re missing out on…), and what better way to do that than by rocking an adorable skirt? 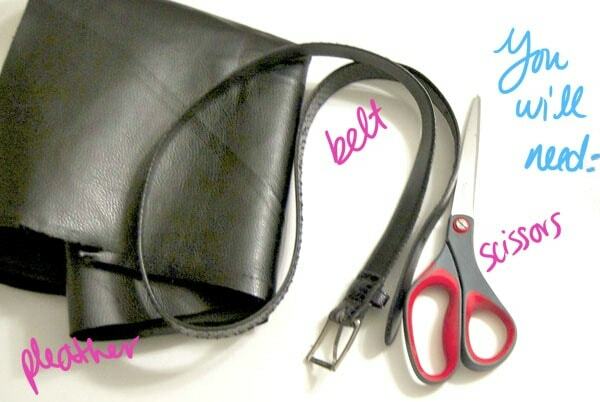 Fold over an inch of the pleather. 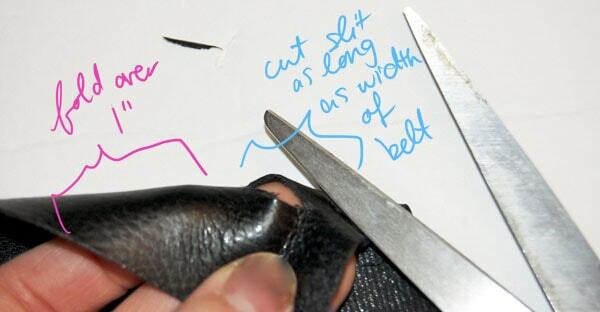 Cut a teeny tiny slit that is the length of the width of the belt. Continue doing so all the way down the pleather. 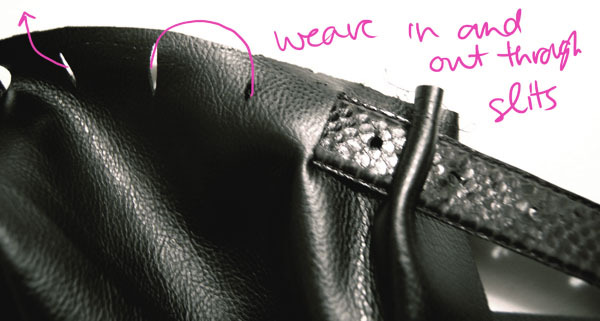 Thread the belt through the slits, weaving it in and out. Adjust the gathers on top strategically. 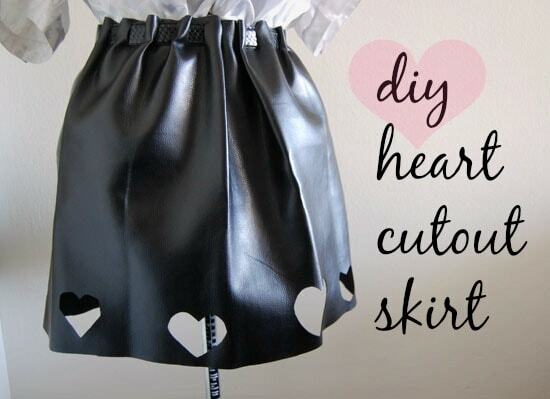 The next step is to cut out hearts on the bottom of the skirt. 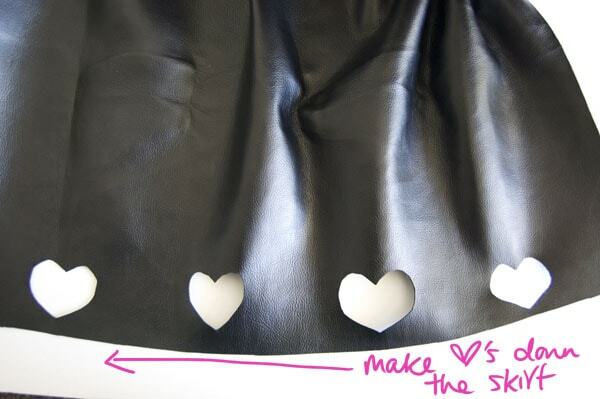 Simply fold over the pleather a couple of inches, and cut out half the heart. (The same way we were taught in elementary school!) 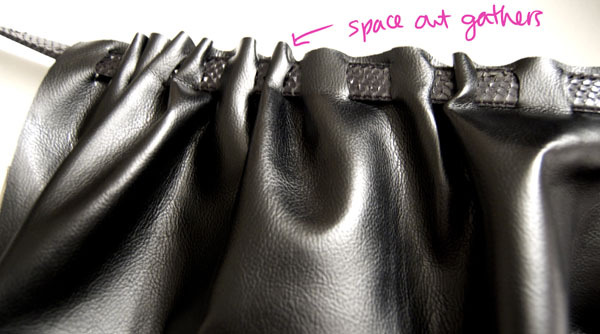 Continue to do this down the skirt, spacing them out however you’d like. Buckle the belt. 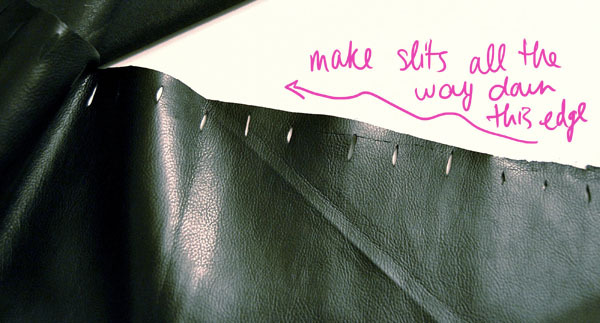 Because the skirt width should be wider than your waist size, overlap the fabrics on top of each other to form a “seam;” the pleather should be stiff enough to hold the shape, but feel free to sew up the seam if you’d like. In the outfit on the left, I wore a cold shoulder bow sweater half tucked into the skirt, and embellished shoes. The bows play up the girly silhouette of the skirt, while the studded and spiked booties pair nicely with the edgy faux leather. I went for a unconventionally preppy vibe in the center look, and contrasted the hard leather with a lightweight collared shirt. 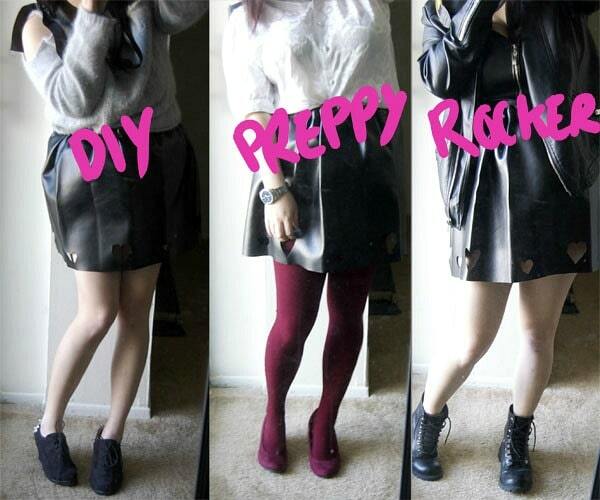 Dark burgundy tights worn with similarly-colored wedge heels are an updated take on a traditional Valentine’s Day red. To continue the preppy-meets-trendy feel, I accessorized with a menswear watch. The last look is full on rocker. I paired the skirt with a pleather moto jacket, a pleather bustier, and combat boots. 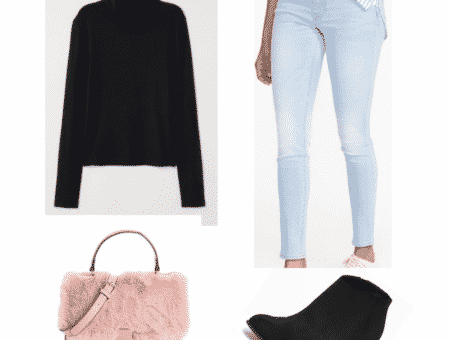 The resulting ensemble is edgy, chic, and totally badass. 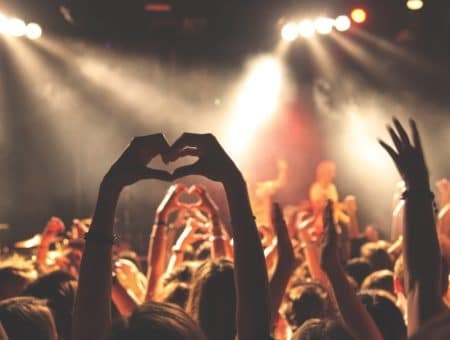 What’s your favorite part about Valentine’s Day? What do you think of this DIY/would you do this DIY? Are there any other tutorials you would like to see the tutorial for? Let me know in the comments!